It started with a vision of a safer, more fair Octagon, and culminated in the first independent anti-doping program in professional sport. Launched in July 2015, the UFC Anti-Doping Program is global and comprehensive, responsible for educating, testing, and adjudicating cases for more than 550 elite athletes around the world. Behind the scenes, overseeing this much needed program, are two USADA staff members. 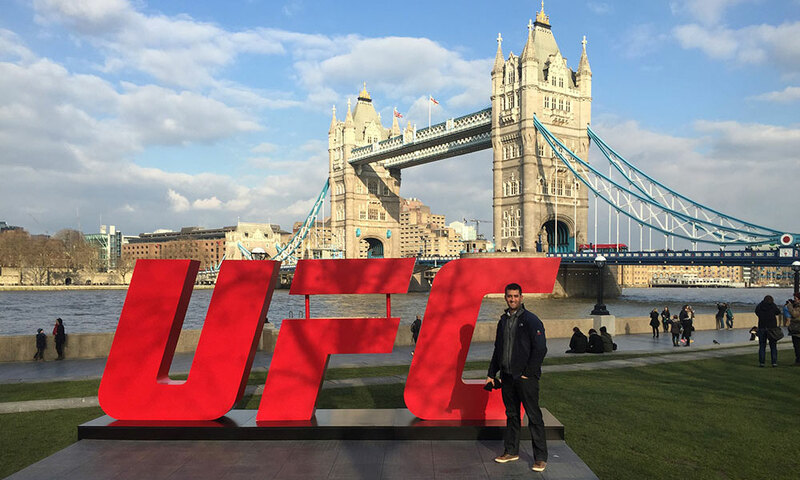 Gabe Baida has been the UFC Operations Director since USADA partnered with the UFC to create a first-of-its-kind Anti-Doping Program. Hands on in every respect, Baida travels regularly – both domestic and internationally – to educate athletes, improve test planning, and oversee the program in real-time. As the Legal Affairs Director of Emerging & Pro Sports, Onye Ikwuakor played a major role in drafting the policies that are the foundation for the program and he works directly with athletes who face an anti-doping policy violation. Behind a program that has set the bar for anti-doping in professional sport are people – people with families, people with goals, and people with a genuine love of sport. Averi Walker: This is a bit of a niche industry…tell us how you ended up in anti-doping? Gabe Baida: After grad school, I did a couple of internships with PGA of America and I got some good experience working on the ‘08 PGA Championships. It was great, but it was an internship, and after it ended I was one of the many recent grads trying to find a job in sports. I was fortunate to have some friends who put me in touch with USADA. Shortly after, I flew out for the interview, and eventually got the job. I started as a testing coordinator in 2009 and after a year or so, I had the opportunity to move into the DCO (Doping Control Officer) Manager job. For around 18 months, I managed all of our DCOs, about 60 at the time, and I was able to grow the role by also taking on some of USADA’s technology projects. Onye Ikwuakor: For me, it probably starts with why I decided to go into law. As a kid, I remember my teacher going around the classroom asking us all what we wanted to be when we grew up. You heard fireman, police officer, astronaut, football player – and I would always say that I wanted to be a lawyer. I think at that age it’s fair to say that I didn’t even really know what a lawyer did, but I had been taught that lawyers could help people and I think that was something that appealed to me and stayed with me. I’ve also always had an interest in sports and played all through high school and very briefly in college at Iowa State. People always tell you to do what you’re interested in, and for me, that was sports. As soon as I started law school I was looking for ways to bring together these two interests – law and sports. One summer I interned with a few different firms – in San Francisco, LA, and then in Denver. I really wanted that Colorado internship because I’m a native and I figured it would be the last opportunity I would get to spend time with my family before starting my career on the West Coast. But it was that internship that actually started me down the right path. Midway through, we visited a 12-attorney office in Colorado Springs and I found out that they represented sports organizations like the USOC, USA Swimming, and USADA. The lightbulb went on and I knew right away that it was where I needed to be to work in sports. A few years after I started with the firm, a position opened up at USADA. Specific to anti-doping, I think if I look back to before I took this job, I definitely knew about doping and I knew there were efforts to prevent it, but my appreciation for that effort has increased ten-fold since I started working in this field. To this day, I believe in what I’m seeing and I love what I do. I genuinely believe that human beings are capable of incredible athletic achievements without doping. Walker: At what point did you get involved in developing the UFC Anti-Doping Policy? Ikwuakor: Well I started at USADA in February of 2012 as the Legal Affairs Directors – at that point, my work was almost entirely focused on Olympic Sport. When the UFC came on board, I realized it was an opportunity to apply my work to a different sphere. So I was involved from pretty early on, which meant that I actually got to help draft the policies and assist with the roll-out of the program. It was, and still is, a great opportunity – and a lot of fun. From a culture standpoint, it’s kind of like being involved in a start-up in some ways. It’s not reinventing the wheel, but looking at what has been successful and adapting it for a different purpose. Baida: Looking back on it, I wasn’t really involved in the initial conversations, but once USADA realized that the whole thing was actually coming together and that the UFC had committed to the program, I was also pretty hands on during the initial formation of the rules alongside Onye and the rest of the team. My first real exposure to the UFC folks supporting the program was at the final meeting in Vegas in June 2015, and it was great to see how much they all cared about this effort. They recognized there was a problem that required a solution. And I think at the end of the day, they realized that bringing us in – an independent organization – to put together an anti-doping program was the best thing for clean athletes and the UFC as a whole. They were fully committed and it really helped get the program off to a good start. Ikwuakor: That’s an important point. Also, for the UFC program, we were trying to recreate USADA’s world-class Olympic anti-doping program under the eyes of a really passionate fan-base, so there was a lot of pressure to be perfect. We only had one chance to make a good first impression. Walker: How did you react when you learned that you would be overseeing the first independent anti-doping program in sport? Ikwuakor: Gabe has a good one. I was pretty blown away, to be honest. So I went from looking forward to vacation to being more excited to get back because I knew the rest of the year was going to be incredibly fulfilling. I was probably as excited as I’ve been in my career and it was such a phenomenal professional opportunity. It was also an opportunity to take a project from infancy, implement it, and grow it on a global level – that was huge. Walker: Onye, you also changed roles when the UFC program was introduced, what was it like to transition from working on Olympic cases to UFC cases? Ikwuakor: The global nature of the program was really eye-opening. On the Olympic side, the majority of cases involve U.S. athletes, but on the UFC side, the athletes are from all over the world. So the approach is a little different because the simple act of communicating becomes harder. 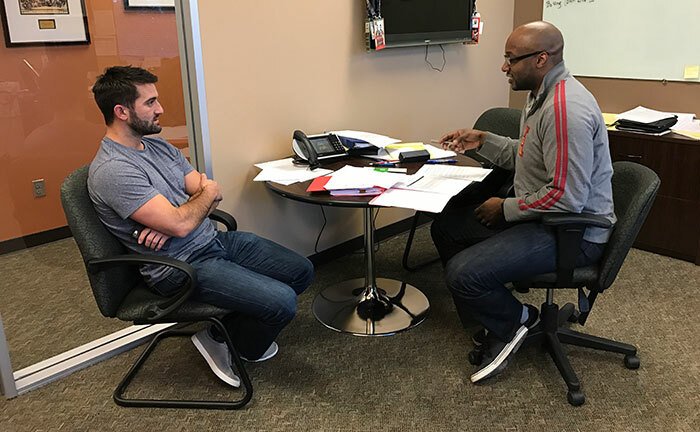 You’re working through translators or agents to communicate with the athlete about their case and to pass along really important information. There are just so many more steps to make sure that the athletes really understand their rights under the program and know that there is meaningful due process. So a lot of times that requires explaining why the process takes so long, which in most cases, is to ensure that everything is being done the right way – in line with the Policy. Even though every case is different, we also have the benefit of pulling from more than a decade of precedent and best practices developed on the Olympic side. I think right now one of the main misconceptions about the UFC Anti-Doping Policy is that we are arbitrarily determining sanction lengths, but that couldn’t be further from the truth. People familiar with UFC Anti-Doping Policy understand that it as well as our arbitration processes are based on the World Anti-Doping Code, which is globally recognized and has been ratified by over 650 sports organizations around the world. It’s the international standard and we used it to establish a system that fully outlines how sanction lengths should be determined based on various factors, including substance classifications as outlined, intent, degree of fault, and mitigating factors. It’s important for us to remain mindful that this program is also new for the fans, not just the athletes. So moving forward, I think it will be important to focus on effectively communicating sanction information to the fans and the people who may not – understandably – have taken the time to read through the entire policy. Walker: Gabe, what do you think was the most important part of the program’s implementation? Baida: Getting the rules finalized was a big moment, but for me, the answer is education. We knew from the get-go that we would need to get in front of the athletes – a lot of them – if we were going to be successful implementing the program. So right after we finalized the policy, probably two or three days later, our team hit the road. We started out by going to the two biggest gyms in south Florida so we could get in front of those athletes in-person to talk about the rules. We then spent the better part of the next two months on the road doing education, going to places like Brazil and Japan, working with translators and bridging cultural divides to make sure that everyone understood the policy. 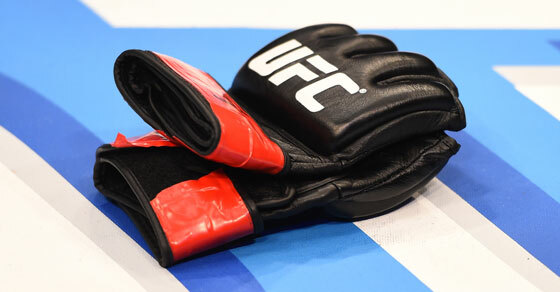 Having the UFC there was huge too, especially Jeff Novitzky, who has worked on some of the highest-profile anti-doping cases in the world and has so much expertise to share. Forest Griffin was also with us on the first two or three presentations – the athletes respect him so much – and that helped immensely. He was able to relate to the fighters in the room and talk to them about the more controversial changes, like the IV restrictions. That was something that was more powerful coming from him, as opposed to us. I think we knew how important that was at the time, but especially in retrospect – it was huge. Overall, those early education initiatives were a success. The program was met with a lot of optimism and most every single athlete was polite and engaged. They asked questions and it allowed us to interact with them on a more human level. That gets lost sometimes, I think… the understanding that the people who manage these programs have the athlete’s best interest at heart. For us, it’s not just about catching people who cheat, it’s about giving athletes a chance to compete clean and win – and overall – to help build a culture that values clean sport. I know that might sound cliché, but it’s the truth. Walker: Onye, one of the interesting things about your job is the level of athlete engagement. How well have you come to know some of these athletes over the last 18 months? Ikwuakor: This work is still extremely important to me for that exact reason. I get to work and interact with people on a personal level and I know that every athlete has their own story. When an athlete tests positive, I try to recognize how they got where they are and why they made certain choices. It’s never black and white and each case is unique in its own way. To that extent, the interactions with athletes and their counsel are huge. It’s those interactions that allow us to better educate athletes and improve the program based on what we’re seeing and hearing. Even though they don’t always make the best choices, the athletes we deal with are working to achieve a dream and I always try to remain mindful of that. Walker: Back to you Gabe, what’s it like to travel around the world for your work? What’s been your favorite UFC event? Baida: It’s awesome – I love the travel and I’ve gotten to see some really amazing places. This job also took my fiancé and I on a trip to Australia, which is where we ended up getting engaged. But I have to say, it can be difficult at times, being away from home, apart from my family, always in a hotel. To the second part of your question, it’s really hard to pick a favorite event. I think the one that really stands out is a fight in Dublin in 2015. It was crazy; raucous. I remember the card kind of fell apart from injuries in the lead up to the event, but the crowd was electric. The venue was tight and vertical. It was the kind of place where the fans are right on top of the Octagon. It was so intense, and the Irish’s pride for their fighters was pretty incredible. I was also at the Holm vs. Rousey fight in Melbourne. Around 57,000 people piled into this soccer stadium that had been entirely empty as we walked through the venue the night before. Seeing that transformation and energy was amazing. I guess in a lot of ways, though, all the fights are memorable for their own reasons. Another notable one is a fight in Japan, but for the exact opposite reason as in Dublin – the whole place was just silent. If nothing was happening in the fight you could hear a pin drop, and then something exciting would happen and there was a quick burst of noise, but then back to silence. I remember standing in the tunnel waiting for the fight to finish and we found ourselves sort-of tip-toeing around because it was so quiet. It was kind of surreal, but experiencing these cultural differences is one my favorite parts of the job. Walker: Do you feel like athletes’ reactions to the UFC Anti-Doping Policy have changed since its launch? Baida: I think initially it was met with a positive hesitation. 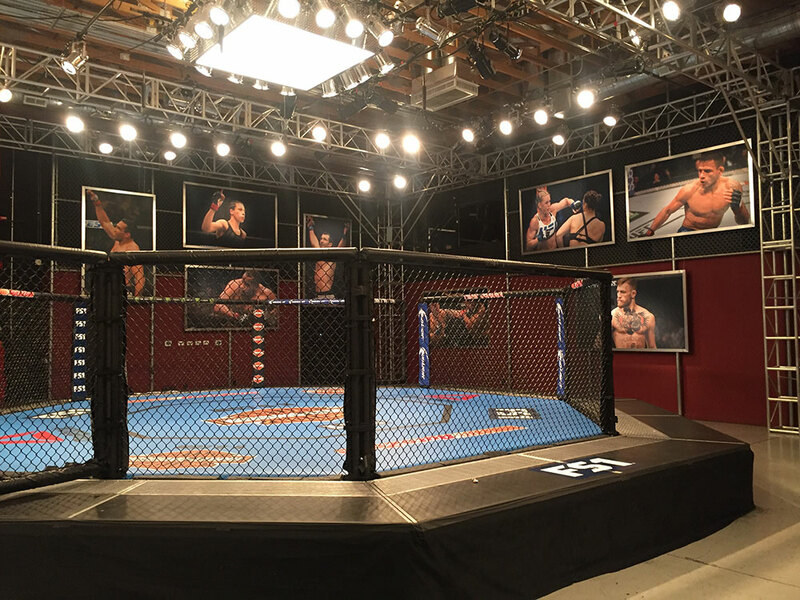 The athletes really wanted the opportunity to fight in a clean Octagon; you could absolutely see it and hear it. But at the same time they didn’t really know how the program was going to impact them on an individual level. Fast forward to today though, and I think we can say it’s been really well received. We talk to athletes all the time, and without a doubt, the positive feedback far outweighs any criticisms. Our organization talks about this a lot, but I think the interaction and positive response we hear from athletes is the most gratifying part of this whole effort. With that said, there is always room for improvement and we’re going to continue to find ways to get better, whether it’s streamlining the Whereabouts process or providing more education. The hardest thing for the athletes is the dietary supplements issue, we understand that… and we’ll do everything in our power to educate and inform their decision making on that front. Walker: Have there been any particularly challenging cases? Ikwuakor: Like Gabe mentioned, supplement use continues to be an issue and it’s hard to see athletes keep taking supplements when their use comes with so much risk. We’ve had a number of cases where athletes took supplements that were contaminated or labeled wrong, so their level of fault is reduced, but they still chose to use a product that wasn’t safe – from both an anti-doping perspective and a health perspective. I know the sanctions for those cases are difficult for the athletes and the fans to see, but we hope that everyone will eventually realize how dangerous supplements can be. It’s important for people to know that these products are regulated post-market, so the FDA doesn’t analyze the safety or contents before they are sold to consumers. And while intuitively, you may think because you’re buying something over-the-counter, or from what appears to be a reputable manufacturer, one visit to our High Risk List will show you that some of the substances being put in these supplements can directly affect the fairness of competition. But from a more macro-perspective, each case presents its own challenges: One being that in order to have a truly comprehensive program, you can’t have blackout dates, meaning that not all results will come back before a fight. Another is explaining sanctions for cases that involve the same substances, but need to carry different sanction lengths due to mitigating factors and degree of fault. I know fans and media want to know every detail about each case, but the reality is that we’re dealing with highly confidential personal information, and out of fairness to the athlete, we have to be careful about what we make public and when. The athletes have to be the ones to initially release that kind of information. As people get more familiar with the program, I think those factors will sink in, and in the meantime, I do welcome the scrutiny… that passion for the sport. It means that the public is paying attention to what’s going on with the UFC and this program. There is huge value in that. Walker: Onye, what it’s like to work with UFC athletes through sometimes difficult cases? Ikwuakor: I’ve found that every athlete I come into contact with is super passionate about the sport, and even in difficult situations, they’re completely willing to go through the process with us. Outside the Octagon, there is a culture of respect among the athletes, for each other and for the sport. And they know that anti-doping is part of their sport now. Walker: The program has been in place for more than a year… where do you see it going from here? Baida: I think it will continue to grow and improve. Anti-doping as a whole is evolving and we are pushing for reform on a global scale, especially on the Olympic side. For the UFC, we will focus on educating athletes in their own languages and look at how we can expand our investigative capabilities. The other thing is that we will work on even more strategic test planning using compiled data and trends that give us a lot of insight. At this point, we’ve only scratched the surface in regard to analytics and the program will just keep improving as it develops. Ikwuakor: I would second that. I’m really proud of what we’ve accomplished so far in just 18 months. We work with almost 600 athletes around the world and I think it’s incredible. Having said that, going forward I think we will keep focusing on making clean competition part of the culture. A lot of people in the UFC have acknowledged that there was a doping problem in the sport and we’ve already heard from them that the program is having a positive effect. Since taking this job, it’s become really important to me for that progress to continue and for everyone involved in the sport to value a clean Octagon. I had only watched a handful of MMA bouts before taking on this role, and I remember being surprised by the intensity. Now I’ve seen enough fights that I can appreciate the skill and technique that goes into being successful – how hard these athletes work. And I think the program is helping to increase the value of that hard work. Walker: Gabe, to Onye’s point, do you believe the program has already had an impact? Baida: We think so, and that’s what the athletes are telling us – so yes. We are catching the intentional cheaters and that’s a deterrent for other athletes who might be considering going down that road. Athletes are also learning a lot – they are realizing that supplements can be dangerous and that they need to be informed about what’s going in their bodies. Athletes like Michael Bisping have been especially outspoken about the fact that with this program, he has become world champion. So the fact that clean athletes believe this program has given them a chance to win and reach the pinnacle of their sport – that’s huge for us.